When opposing counsel sit together they keep their cards close to the vest. They magnify the strengths of their own case while denigrating the opposing viewpoint. Once I separate the parties into separate rooms (caucuses,) the motivation to aggrandize diminishes. Attorneys and their clients can reasonably discuss the good and bad sides of the issues with the mediator without giving up their negotiation position. Then it’s my job to convey that position so that another reasoned discussion happens in the other room. As a professional neutral, I do not have a stake in the outcome. I want to help the parties reach a settlement which is the optimal result for all. I can provide untainted feedback and sometimes point out overlooked data. Some clients refuse to listen to their lawyer’s case assessment, and some lawyers have learned that their continued employment mitigates against contradicting their client’s overconfidence. As mediator, I can deliver an unwelcome message about the prospect of success, opening the door to a more frank discussion between attorney and client. Unlike at the WCAB or an informal, the stakeholders are encouraged to take an active part in mediation. In caucus, clients and their attorneys can have frank discussions with the mediator—and each other. When claims adjusters and risk managers attend mediation, they maximize their understanding of the dynamics of the negotiation. Injured workers can receive settlement offers in real-time. 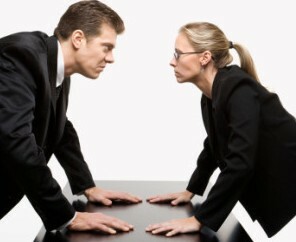 Some applicant attorneys keep their clients away from the negotiation in an informal meeting. The injured worker may be hidden in a back office or on telephone stand-by. There may be important reasons to prevent interaction between the defense attorney and the injured worker, but this approach prevents the injured worker from buying in to the negotiation. Sometimes, the result can be disastrous when the injured worker later repudiates that carefully crafted Compromise & Release. In contrast, once the parties are separated into their caucus rooms, the stakeholders, their attorney and the mediator can have a confidential, free-flowing discussion without the presence of opposing counsel. It may be the only time the injured worker gets to tell the story to a neutral. The neutral intermediary is missing in an informal. My job is to steer the proceedings, frame communications to facilitate the negotiation, and help parties decide their course.